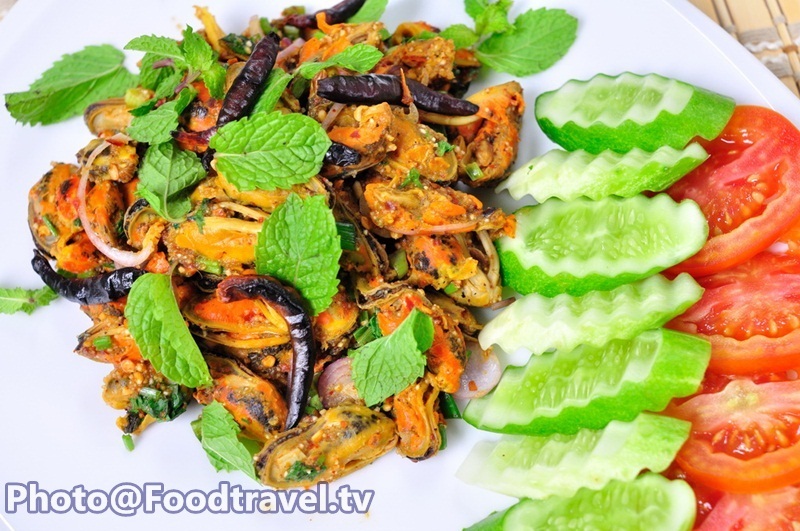 Spicy Mussels Salad (Laab Hoi Ma Lang Pu) - Another Spicy dish that very easy to make. Season with fish sauce, chili and lime for intense flavor. 2. Chili powder 1 Tbsp. 3. Roasted Rice 2 Tbsp. 4. Fish sauce 2 Tbsp. 1. Chop shallot, spring onion, coriander and long coriander. 2. Pour water into the pot. 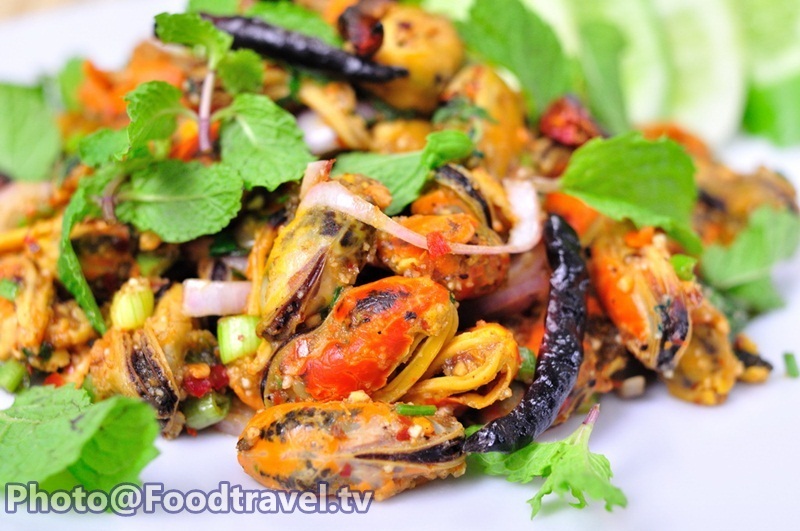 When the water boiling add the mussel down. And stir well. 3. When the mussel split the water out. Pour out the water in the pot and turn off the gas. Add chilli powder, roasted rice, lime, fish sauce, sugar, and stir until combined. Then add chopped vegetables down and stir again. 4. 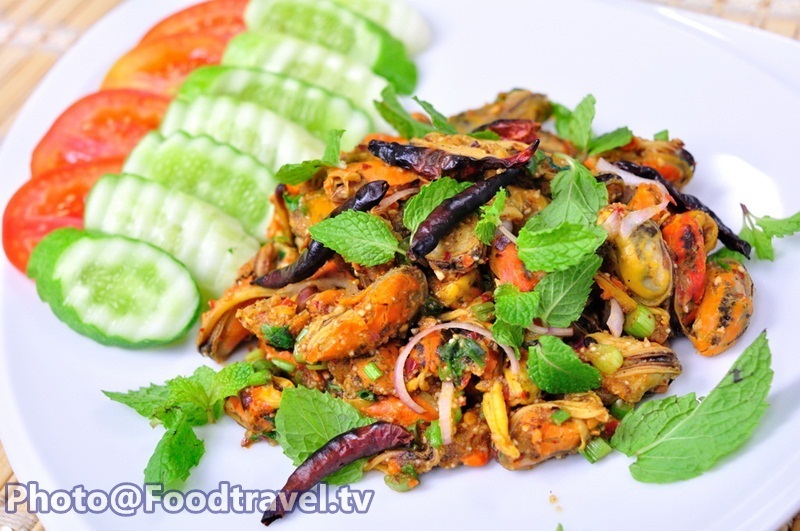 Sprinkle with mint leaves, served with fried dried chilli. Done.